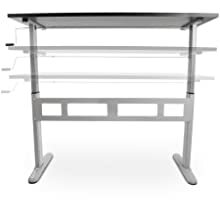 Tranzendesk 55” modern standing workstation from Stand Steady makes a perfect addition to any office, home, or other work space. 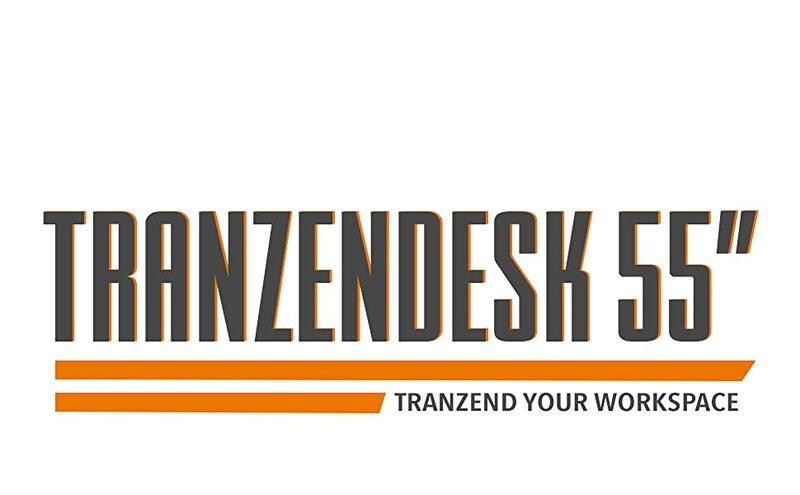 Tranzend your workspace today with the NEW AND IMPROVED Tranzendesk 55-inch height adjustable standing desk. 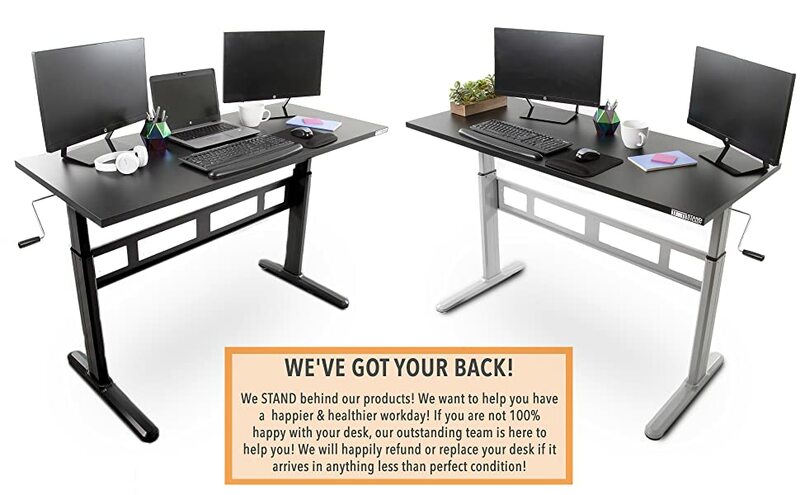 This crank to sit or stand desk allows you to achieve so many health benefits! Have more energy, alleviate pain caused by sitting, mitigate the risk of heart disease and diabetes, have much healthier lifestyle, and enjoy your work day! NEW AND IMPROVED: With our customers in mind we have re-designed our popular Tranzendesk to be even BETTER! 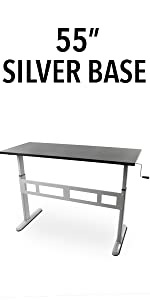 EASY CRANK SYSTEM: Our standing desk is designed with a hand crank that can be placed on either side of the desktop. 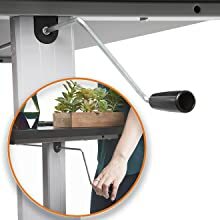 Load up your desk with all of your office essentials and simply turn the crank to raise and lower the desk to your desired height! STABLE DESKTOP: Work wobble-free at any height! 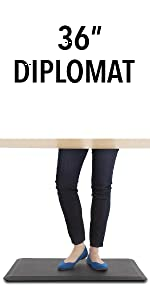 From the lowest to the highest position and every height in between, our stand desk remains sturdy, so you can type and write in peace with no shaking. SPACIOUS WORKSPACE: Feel free to set up a few monitors, your laptop, a keyboard, mouse and your ballpoint pen collection. There’s room for everything on this super spacious 55-inch desktop! PAINLESS ASSEMBLY: Building furniture can be a bear, but you’ll be impressed at how painless our Tranzendesk assembly is. In just 30 or less, you can get your new desk all set up and get cracking on that to-do list! 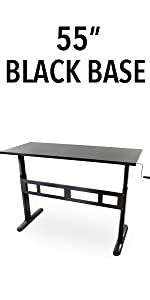 Spacious surface – A lot of desk space on this sit stand desk! 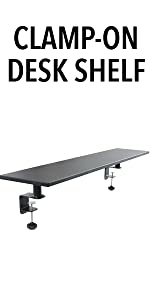 High quality - Now with an even stronger desktop, you can be sure your desk will arrive in prime condition! 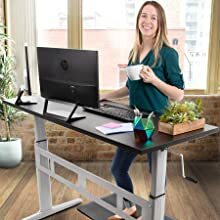 This height adjustable stand up desk easily adjusts from sitting to standing with a smooth crank - adjusting from 29.25" to 47.5" to accommodate a broad range of heights! Simply designed to make it easy for you to move throughout the day! 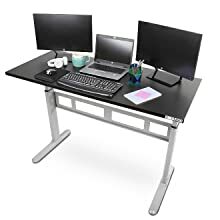 55" x 23.75" x 29.25 - 47.5 55" x 23.5" x 29" - 46" 55" x 12" x 4.5" 36" x 0.8" x 24"
Desk Height: Elevates from a low sitting height of 29.25” and has a maximum height of 47.5"